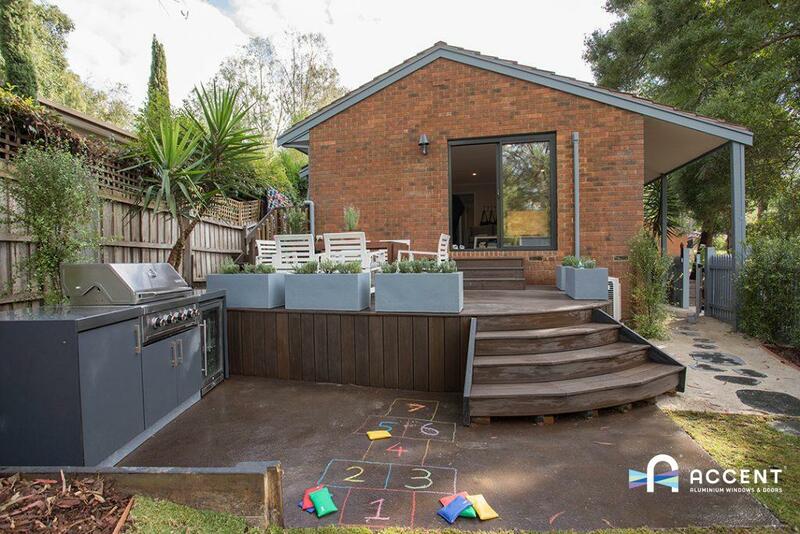 If you watched Channel 9’s Buying Blind last night, you may have noticed that we were heavily involved in the renovations Shaynna Blaze and the guys did on the stunning Mount Evelyn home. If you want to know which products and services we provided for Buying Blind, you can find a full list below and how they helped bring the home to life. Commercial awning windows – Commercial awning windows are made to last and provide a versatile modern aesthetic. Our team installed commercial awnings in both the kitchen and the bathroom of the home, allowing for ample natural light to flow throughout the house and excellent ventilation. The awning installed in the bathroom featured obscured glass for added privacy. Bi-fold servery – In-between the kitchen and the outside entertainment area we installed a bi-fold servery. This feature is a fantastic addition to the kitchen and breakfast bar, and promises to be a family favourite during the warmer months. Sliding doors – Strong, reliable and allowing plenty of natural light into living areas, sliding doors are a popular feature for many home owners. 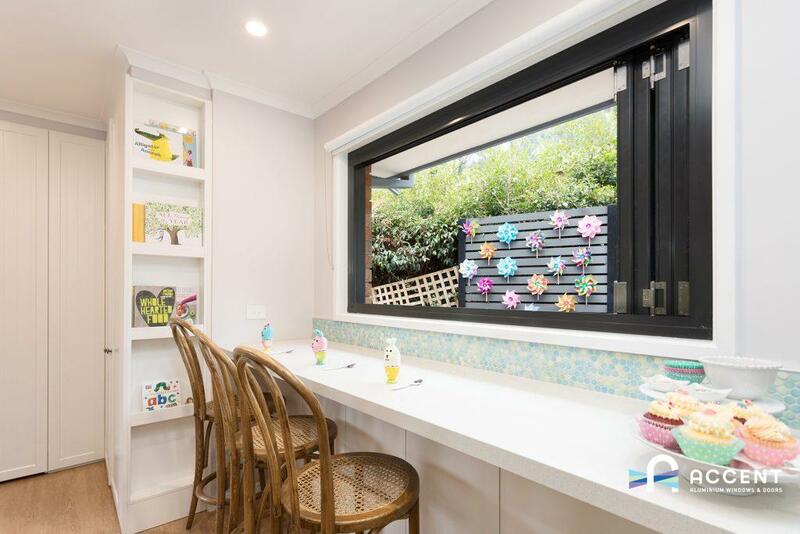 For this renovation we installed a sliding door that flows out to the new deck area from the lounge room, adding light and ventilation to this lively hub of the home. Invisi-Gard security door – For additional security we installed a seamless Invi-Gard security door to the front entry. This feature offers fantastic security, requires little maintenance and looks great. If you want to have similar features added to your home, contact Accent Windows today. For installation and replacement services we offer a no obligation quote and site inspection.